Key West Parking is beatable I can assure you. You might have heard all the horror stories about parking in the southernmost island of Key West, from visitors who haven't planned properly, but you wont be one of the victims. Parking in the rest of the Florida Keys is not hard. In fact it is very easy and free of charge. That is until you attempt to park in the southernmost part of the Keys in Key West itself. There are simply too many cars meandering around the streets of the Old Town in Key West, and not enough parking spaces. And that wherever you go is going to cause a problem. Let’s tell you the best places (and a lot of them free) to park, but don’t tell anyone else. Anyone popping into any of the shops in Duval Square (1075 Duval Street) will find free parking available across the road. You will have to drive into Simonton Street, but it's free and it's right where you want it. There may also be free parking in designated lots off either Whitehead or Simonton Streets, which is perfect if you want to visit some of the Duval Street bars or restaurants. Both of the streets run parallel to Duval Street. They are quite easy options for your Key West parking problems, but don't forget we do have metered curb side parking too. This is available on most downtown streets, as well as along most of the streets that cross Duval, Whitehead and Simonton. If you are riding on a scooter or moped you will find special curbside parking just for them. Just make sure that you don't park them on the sidewalk, or in Residential Parking zones, or your car may be towed to the pound!! When you plan to visit the Old Town, you will need to know the tricks of Key West parking. Many of the Old Town streets have curb side spots marked out with white paint, and marked clearly with large white letters you will see the words RESIDENTIAL PARKING. If you wish to park in one of these spots, as they are actually allocated surprise, surprise to a resident of the Keys, then your car must display either a Monroe County licence plate, or a residential parking permit. So how do you get one of these for your day trip to the Old Town? Well you can, if you decide to buy a home and become a resident, then Key West parking is nice and easy, as the City of Key West will provide you one as proof of residence. 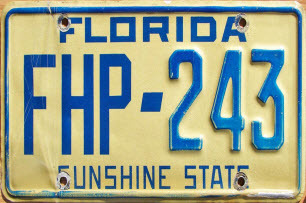 If you do feel brave enough to attempt parking in one of these spots, and your car doesn’t display the proper proof of residence then it is highly likely that after enjoying the many delights that the Florida Keys offer (Basically Key West) you may find your car has been taken. It is likely, bordering on a definite, that your car is now sitting soaking up the sunshine at the car impound which is found on Stock Island. A little journey, and a lot of cash. Yep, your car will not be returned unless cash payment is made. And hopefully no further questions are needed either! But let’s be positive and look on the brighter side of life. I’m sure that you won’t need a journey to get your car back as you can simply park in either one of the lots that are scattered around the town, or just find a meter and put some money in. And that applies even if you wanted to be smack bang in the middle of things. If you want to drive into Old Town and do some Key West parking then Duval and Southard streets have now added coin meters which allow you to park for just an hour if you wish. You can do this by credit card which then gives you a receipt that you can lay on your dashboard. This is great as it stops you having to whizz back to the car to put in more cash all the time. However if you do want to use coins, in a more traditional way then there are coin operated meters, but beware those nasty meter maids (Traffic Wardens) patrol the streets at all hours. 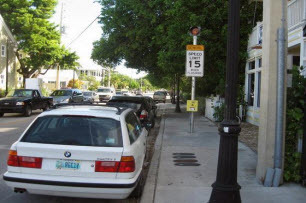 Really one of the simplest ways to beat the Key West Parking problems is to park in one of the privately owned and reasonably price car lots situated on both sides of Duval Street. They are easy to spot as there is normally a lot attendant standing with a cardboard sign. You can then park for 24 hours for a fixed price. 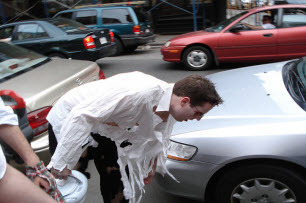 When the October event Fantasyfest occurs the already scarce parking paces will be at an absolute premium, so my biggest suggestion is to use the park and ride schemes that will be running into the island each day. But if you do insist of driving in the city suggests festival goers should try to find parking at one of the following Key West parking locations. • Old Town Garage (Park N’ Ride), at the corner of Grinnell and Caroline streets, $40 per day. Could This Be The Last Parking Spot In Key West? However if you aren't going to be too long and just want a quick place to park you can also pay by the hour. The fully automated lot is accessible 24 hours to cars, motorbikes,and scooters only. No RV's, trailers or buses are allowed to park here. This parking lot is right on the cruise ship-dock off Wall Street in Mallory Square and is perfect for all the west-end attractions. But please be aware that the parking is limited. Rates run from $4 per hour, day or night or $32 for 24 hours. The lot is open from 8.00am until midnight, and although it is the ideal Key West parking space for cars, bikes, small trucks and vans, once again RV's, buses and campers are not. The Old Town Parking Garage offers you the chance to find one of 250 covered parking spaces at a reasonable rate anytime, day or night. Cars, small trucks and motorcycles are allowed to park here. For $2 and hour or $13 maximum, you can park and then ride one the shuttles to the downtown area several blocks away. But our number one tip, especially around the Key West attractions.....Leave the car and walk.